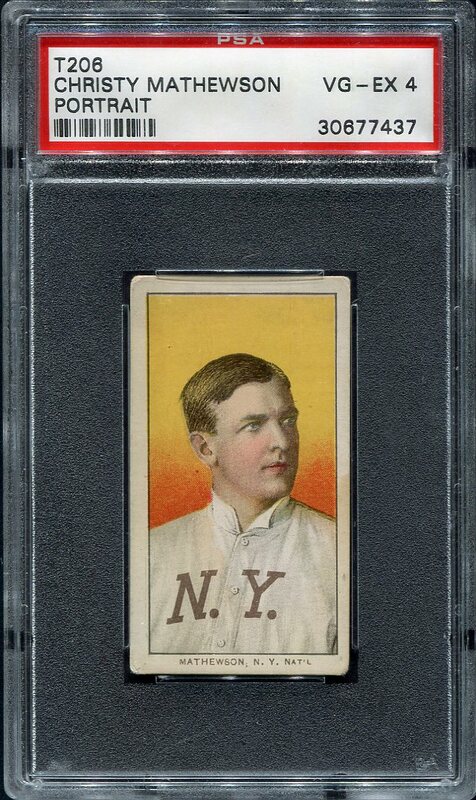 1910 Piedmont Cigarettes Christy Mathewson, New York Giants HOF Pitcher, the Portrait version. PSA 4, crease free with great color and a very clean back. 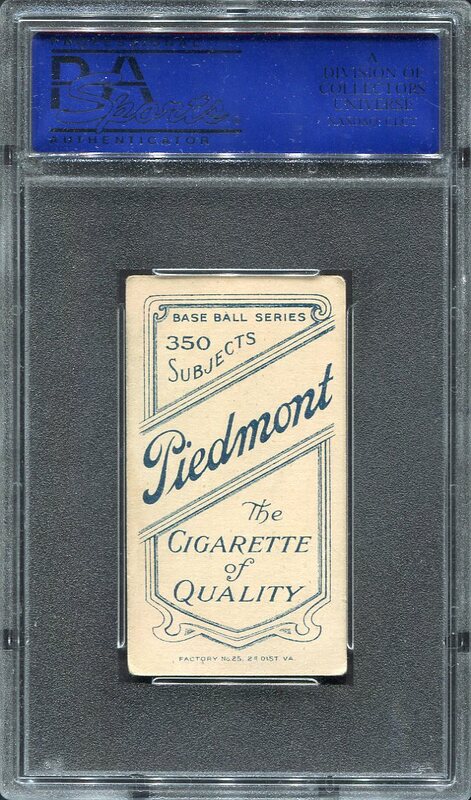 T206 HOFer Portrait cards in PSA holders are red hot and rising, get them while you can. This card does have a reserve, it is the only item in the auction with a reserve and when met it will state as such on the item page.